Editor’s Note: The Genetic and Rare Disease Information Center offers the following tutorial. If you follow all the links and search for research related to pityriasis rubra pilaris, you will find no current research. 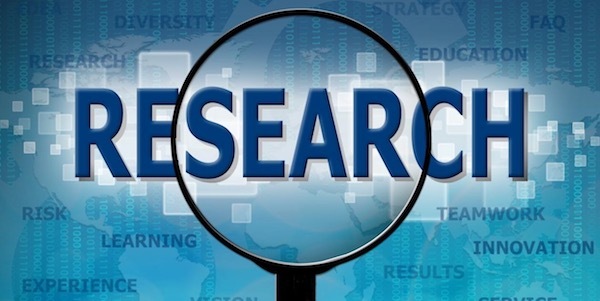 Reports about clinical research study results are often in the news, but it can be difficult to find out about studies that are in progress. If you or a loved one has a rare condition, you may be interested in participating in a research study. This guide can help you find current research studies. Where can I learn about clinical research studies? How can I find a clinical research study for a rare disease? ✽ ClinicalTrials.gov is an NIH website that has information on publicly and privately funded clinical studies in the United States and other countries. ✽ The NIH Clinical Research Study website will help you find research opportunities at the NIH in Bethesda, Maryland. ✽ The Rare Diseases Clinical Research Network (RDCRN) is made up of 22 research consortia to advance medical research on rare diseases. This network of physician scientists and their multidisciplinary teams work with patient advocacy groups to study more than 200 rare diseases at sites across the United States. This initiative is funded by the National Center for Advancing Translational Sciences (NCATS) at the NIH. ✽ NIH Genetic Modification Clinical Research Information System (GeMCRIS) is a searchable database of human gene transfer trials registered with the NIH. You can search the database by medical condition. ✽ Orphanet is a European database for rare diseases and is a resource for learning about clinical trials and research studies. ✽ CenterWatch is a searchable database of domestic and international clinical trials and research center profiles. In addition to these sites, we suggest that you contact advocacy groups to learn more about research. Check the GARD disease pages to see if organizations are listed for your condition. If you cannot find studies after searching these sites, please contact a GARD Information Specialist. Will I have to travel to participate in a clinical research study? Some studies require participants to travel to a research center for evaluation or treatment. Other studies involve completing surveys or collecting a sample that can be sent through the mail. See our guide called Help with Travel Costs for resources that offer financial assistance for transportation and lodging. How can I learn about future studies? You can sign up to receive alerts about new research studies at many of the resources listed above. Another option is to join a patient registry where you can provide your contact information and details about your health. Patient registries help researchers plan new studies and find people who might want to participate. They are important for research because it can be difficult for researchers to find participants with rare diseases. Where can I find a patient registry for a rare disease? Start your search by contacting support and advocacy groups. Check the GARD disease pages to see if any organizations are listed for your condition. The following tools can help you find patient registries. ✽ GenomeConnect is a patient registry that offers a secure place for you to privately share your genetic test results and health information with researchers, clinicians, and the scientific community. The registry aims to speed discovery regarding genetic changes and health. ✽ The Rare Diseases Clinical Research Network (RDCRN) has a contact registry to keep you informed about RDCRN research opportunities as they become available. You can also receive updates on the progress of current research projects. ✽ The Coordination of Rare Diseases at Sanford (CoRDS) registry is a centralized international patient registry for all rare diseases. The goal of the CoRDS registry is to connect patients and researchers to help advance treatments and cures for rare diseases. ✽ The Registry of Patient Registries was created by the Agency for Healthcare Research and Quality to pool information about registry opportunities. ✽ ResearchMatch is a free national research registry designed to bring together patients, healthy volunteers and researchers. ResearchMatch was developed by major academic institutions across the country and is funded by NCATS at the NIH.